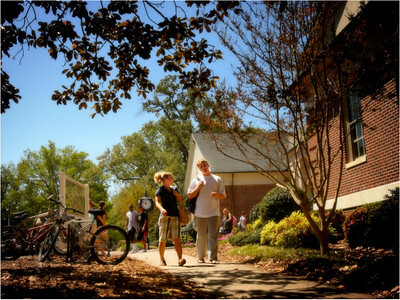 Virtual Campus Tour: Catch a few glimpses of our beautiful campus. 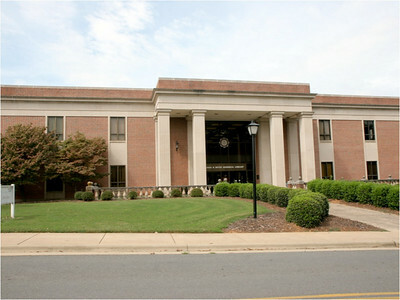 Webb Hall: Home to our administrative offices, the business office, and the registrar, this is often the first building new students see as they arrive on campus. That is, if they can see through the screaming mob on the corner. Every year, returning Gardner-Webb students paint their faces, make signs, blow air horns, and concoct elaborate mime routines on the corner of College and Main, just to welcome new students to campus. 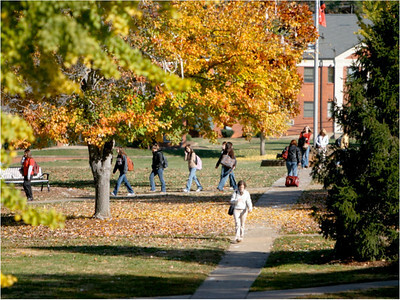 The Quad: Every true GWU campus tour has to start at the Quad, which is both the geographic center of Gardner-Webb’s 200-acre campus and the social center of the GWU community. 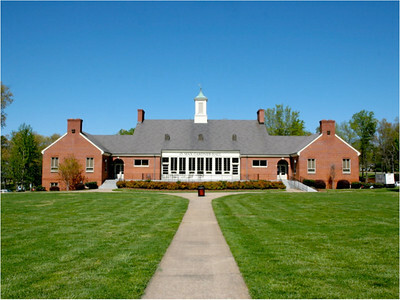 The Quad is a high traffic area, as several of the class buildings and residence halls, as well as the Dover Campus Center, are located along the Quad’s periphery. Whether it’s students tossing a Frisbee, eating a picnic lunch, or just walking together to class, the Quad is where community happens. Dover Campus Center: The “DCC,” as students call it, is the GWU student center. 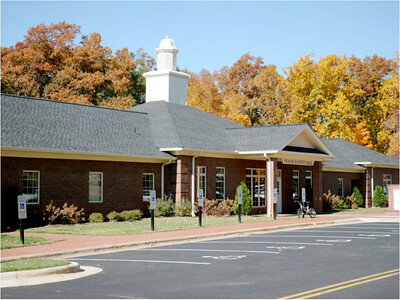 It is home to Office of Undergraduate Admissions, as well as the Caf, the Kennel, the post office, and the campus bookstore. When you come to campus for an actual visit, your GWU experience will begin at the DCC, where you will be greeted by name on our digital campus sign and your admissions counselor will be waiting for you personally. 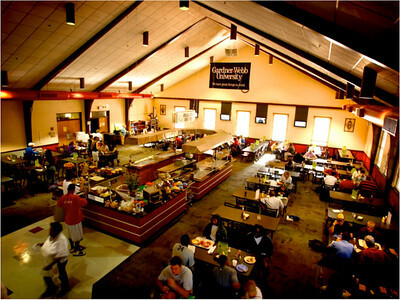 The Caf: The campus’s primary dining hall. 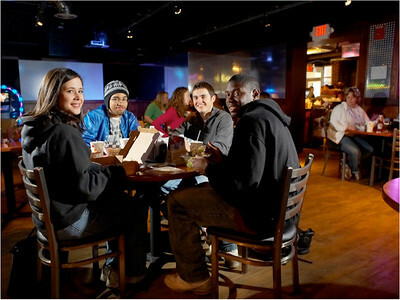 At GWU, we believe eating together is a significant part of building community, so all residential students have a meal plan that lets them enjoy one of the Caf’s delicious options, including a fresh salad bar, a panini bar, a hot-cooked meal, pizza, burgers, a vegetarian spot, and even breakfast omelettes and Belgian waffles. We may not be your mom’s cooking, but when you taste what we have to offer, we think you’ll feel right at home. The Kennel: An alternative dining option downstairs in the DCC, the Kennel houses both The Chick-Fil-A Express, which features a variety of options from their menu like waffle fries and the delicious Chick-Fil-A sandwich, and Simply to Go, which offers quick and convenient self-serving options like salads and sandwiches for students on the run. Fireside Lounge: The DCC is also home to the Fireside Lounge, a quiet study spot with comfortable chairs, sofas, and tables for students to enjoy. Often the site of those famed college all-nighters, Fireside is conveniently located above the Kennel, which serves Starbucks coffee during its hours of operation, and just a few steps away from Boiling Spring’s Broad River Coffee Company. 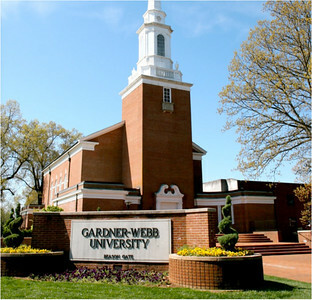 The Dover Chapel: One of the signature buildings on campus, the Chapel symbolizes Gardner-Webb’s enduring commitment to Christian principles and spiritual growth. The chapel hosts a variety of spiritual activities throughout the year, including The Verge, a weekly student-led worship service that challenges and encourages students to live out their faith on campus. The Chapel also houses a prayer room that is always available to students, no matter the time. Hamrick Hall: Located on the Quad just next to the DCC, Hamrick Hall is home to Gardner-Webb’s internationally competitive Godbold School of Business, which offers both the most popular undergraduate major of business administration and the most popular of GWU’s graduate programs, the MBA. Hamrick also houses Blanton Auditorium, a beautiful lecture and performance hall that often features student concerts and recitals, Res Life sponsored movies, concerts by world-renowned classical musicians, and more. Withrow Mathematics and Science Hall: Home to GWU’s math and science programs. With state-of-the-art lab technology and teachers who are experts in their fields, the science, math, and nursing majors who spend their time in Withrow are given the tools for innovative undergraduate research. Noel, Lindsay, and Elliot Halls: Located across from the Dover Campus Center, Noel, Lindsay, and Elliot Halls are home to our Religious Studies, Psychology, and Nursing programs. 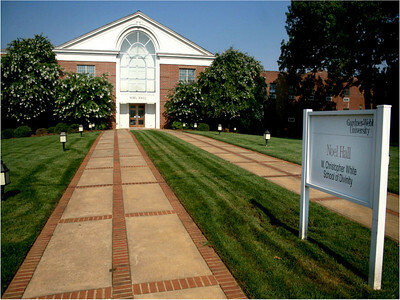 Noel Hall is also home to our graduate School of Divinity, where students become not only excellent scholars but excellent pastors who go on to enact Gardner-Webb’s mission of Christian service in churches and communities around the world. 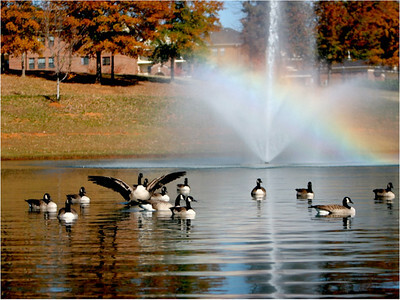 Lake Hollifield: One of the most beautiful areas on campus is the lake. Surrounded by trees that explode with color in the beautiful North Carolina autumn, the complex features a jogging track, several swings, and of course the Lake Hollifield Bell Tower, the site of incoming freshmen’s first campus worship service each year. The Lake Hollifield complex is also the future site of Gardner-Webb’s new Tucker Student Center, an awesome complex incoming students can anticipate. 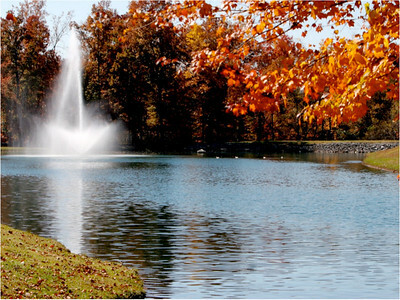 Lake Hollifield: One of the most beautiful areas on campus is the Lake Hollifield complex. Surrounded by trees that explode with color in the beautiful North Carolina autumn, the complex features a jogging track, several swings, and of course the Lake Hollifield Bell Tower, the site of incoming freshmen’s first campus worship service each year. The Lake Hollifield complex is also the future site of Gardner-Webb’s new Tucker Student Center, an awesome complex incoming students can anticipate. 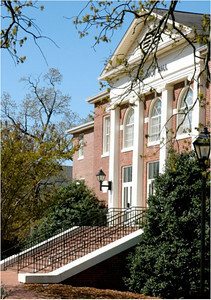 O. Max Gardner Hall: Located on the Quad, this building houses Gardner-Webb’s exceptional music program as well as University Information and Technology Services. 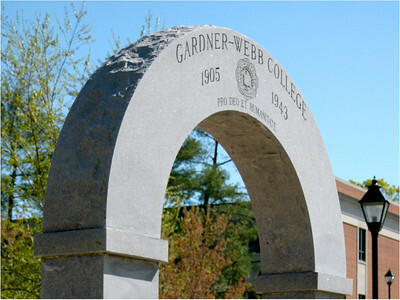 Gardner is best known for its beautiful patio, a favorite location for study and for picnicking among students. Gardner is also the site, several times per year, of Residence Life’s Movie on the Quad events, where a giant screen is erected behind Gardner and students escape the stress of the semester and enjoy free popcorn, snowcones, and a movie. 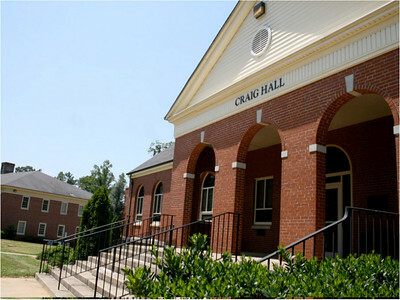 Craig Hall: Once the Gardner-Webb College library, Craig Hall is now home to our outstanding English, Education, and Learning Assistance Programs. Feeling anxious about writing college papers? Craig is also home to our Writing Center, which offers excellent one-on-one assistance to every GWU student on any writing assignment, no matter your major. Dover Memorial Library: The Library, which houses more than 200,000 volumes and 500,000 microforms plus numerous online resources, anchors student research on campus. The Library also has a relationship with other regional academic libraries, including the libraries of Duke and North Carolina-Chapel Hill, that allow students access to almost any resources they need via interlibrary loan. Most importantly, though, the Dover Library staff are some of the most patient, conscientious staff on campus, people dedicated not only to teaching students but to helping them learn to teach themselves . In short, GWU students have everything they need to succeed, and with the new self-service coffee and pastry shop on the main floor, students can succeed in comfort and luxury. Williams Observatory: Gardner-Webb students also enjoy the use of the Observatory, the only one of its kind in Western North Carolina. And you don’t just have to be a science major to peer deep into the galaxy. 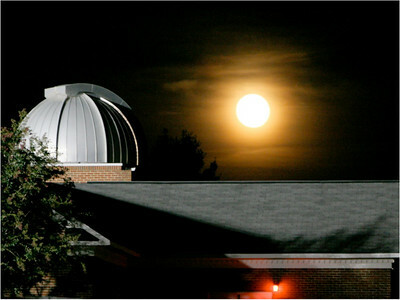 A few times every year, the Observatory holds open house events where students and members of the Boiling Springs community can gaze at stars, watch solar activity, track comets, and contemplate the vastness of the universe and its Maker. 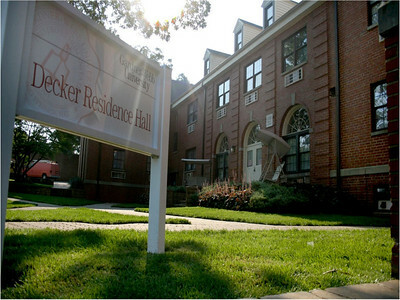 Residence Halls: Gardner-Webb students can choose from among 10 different residence halls on campus, several of which, like Decker, are centrally located just along the quad. At GWU we have no Greek life, because our Residence Halls are our primary learning communities. Students find a sense of affiliation and identity in their halls, and it is the experiences of living life together inside the Residence Hall that make students’ Gardner-Webb experience so memorable. University Commons Apartments: In addition to our traditional residence halls, GWU also offers students the option of living in our beautiful University Commons apartments. Each apartment is home to four students, and includes four bedrooms, two bathrooms, a kitchen, and roomy living area. 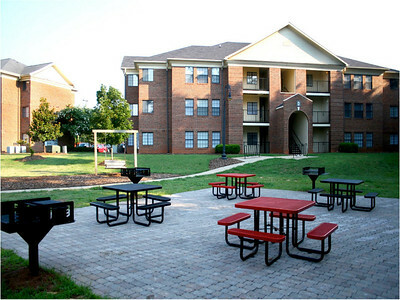 The apartments also feature several grill and picnic areas that are especially great locations for tailgating on football Saturdays. 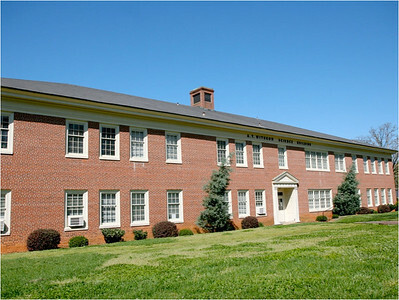 Frank Nanney Hall: The new location of Gardner-Webb’s unique NOEL program for the Disabled, whose mission is to make sure students with disabilities are fully integrated into campus life. With modern equipment and a trained and dedicated staff, NOEL has entire programs devoted to both the blind and visually impaired, as well as to the deaf and hard of hearing. 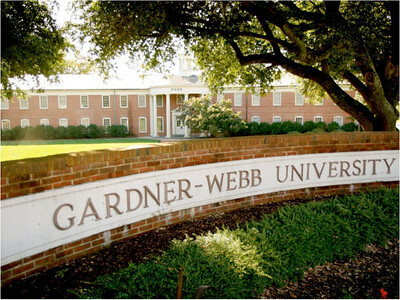 Nanney is also home to GWU’s Social Science program, the third most popular major on campus last year. 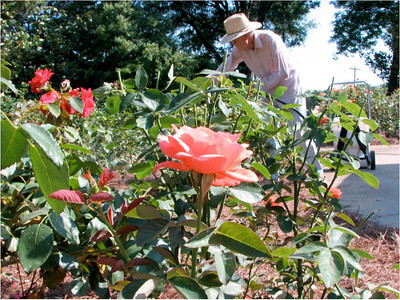 Dover Memorial Garden: Located in the beautiful lawn between the Communication Studies building and the Dover Library, the Dover Memorial Garden features hundreds of blooming roses. The rose garden also features a gazebo with a curious myth of its own. As it goes, sweethearts who walk hand in hand through the gazebo are destined for marriage. No picking the roses, though. Several members of our community work diligently to maintain the beautiful garden, and it stands as the pride of the campus year-round. 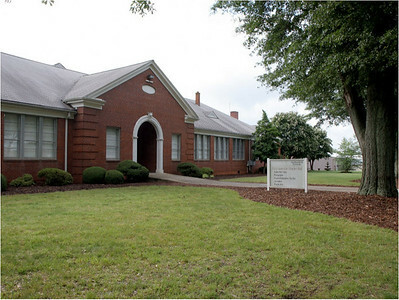 Communications Studies Hall: A former Boiling Springs elementary schoolhouse, the Comm Studies Hall now houses our Photography program, the GWU student publication The Pilot, our Journalism program, our Theater Arts program, as well as our Audio, Film, and Video program. The Comm Studies Hall also houses our Millennium Playhouse, the venue for our Theater program’s popular and always entertaining 24 event, in which students write, cast, rehearse, and debut plays in only 24 hours. Suttle Wellness Center: Inside the University Physical Development Complex, GWU students, faculty, and staff have access to the Suttle Wellness Center facility, which features both a free-weight room and a Nautilus room, an aerobic studio, and even a game room with billiards, ping pong, foosball and more. The UPDC also houses Bost Gym, where students play intramural and pick-up sports, and the Gardner-Webb pool, which all students can enjoy and where the Dogs’ Champion Swim Team breaks record after record. 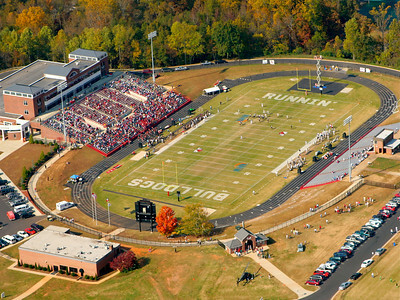 Spangler Stadium: Where the Runnin’ Bulldogs Football team does battle with Big South competition on Saturdays. The stadium is located just beyond the Lake Hollifield complex. Attached to Spangler Stadium is the GWU Football Center, a state-of-the-art workout facility for GWU athletes that was recently featured in Men’s Health Magazine for its cutting-edge exercise equipment. 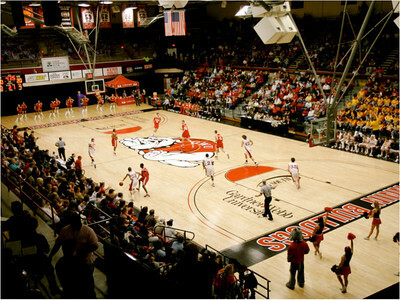 Paul Porter Arena: Located inside the Lutz-Yelton Convocation Center, Paul Porter Arena is the home of the Runnin’ Bulldogs’ basketball, volleyball, and wrestling teams. Don’t worry about finding the LYCC on Saturday nights. You’ll most likely hear the place jumping, especially if the Dawg Pound is in on the action. 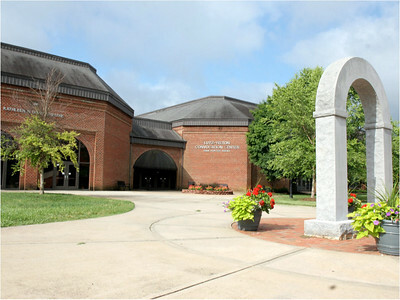 Lutz-Yelton Convocation Center: In addition to the Paul Porter Arena, the LYCC is also home to the 550-seat Dover Memorial Theater, Gardner-Webb’s primary cultural venue and the site of all of GWU’s major theater productions, symphonic orchestras, feature lectures, and also the weekly student worship service called The Verge. 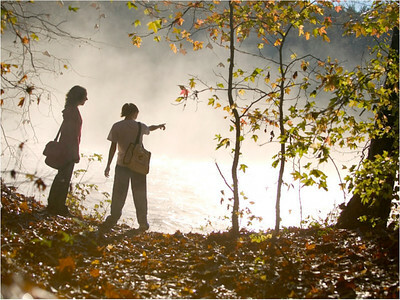 Broad River Greenway: Located just 3 miles from campus, the Broad River Greenway is a beautiful spot for hiking, biking, and even swimming for several miles along the Broad River. The Greenway is also a great place for student research and service, particularly for those interested in wildlife and in Gardner-Webb’s exciting new Environmental Science program. Broad River Coffee Company: Along with the Snack Shop, Hardees, and the relatively new Boiling Springs McDonalds, many of which allow students to make purchases with their GWU ID cards, the Broad River Coffee Company is a popular spot among students and professors alike. 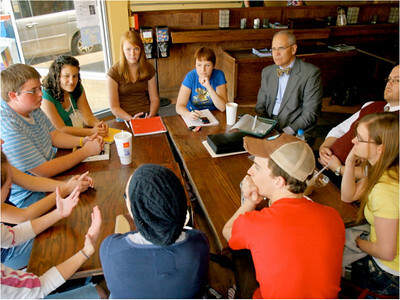 Located just across Main Street and serving delicious coffee all day long and an array of pastries and snacks, the BRCC is one of those places where the students and the residents of Boiling Springs really become a community. With its soft lighting, soothing earth tones, and comfortable seating, the BRCC is also a great study spot, and some professors even hold class there. Broyhill Adventure Course: Located conveniently close to the Blue Ridge Mountains, to several North Carolina rivers, and to Crowder’s Mountain State Park near Kings Mountain, Gardner-Webb offers prime access to an array of outdoor sports including kayaking, backpacking, rafting, tubing, and even mountain climbing. In fact, students wanting to practice climbing never even have to leave campus. 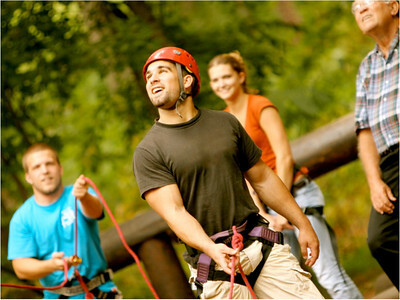 The Broyhill Adventure Course, located in the forest behind the Lake Hollifield Complex, features an Alpine Climbing Tower and a 60-foot climbing wall. 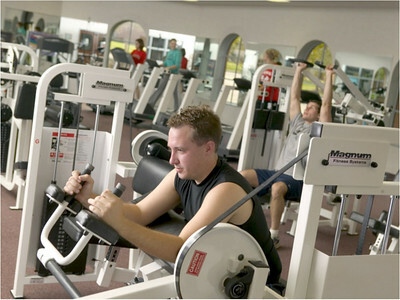 Students can even choose to take a course at the BAC to full their physical recreation and education requirement. 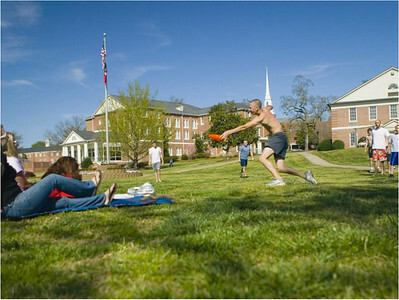 The Seasons at GWU: In addition to the easy access to outdoor sports, Gardner-Webb’s location also affords the richness of all four seasons without summer’s typical grueling heat and winter’s bitter cold. Spring and Autumn at GWU are particularly beautiful, as many of the trees on campus explode in fiery oranges and vivid yellows, or bloom in luscious pinks and whites. 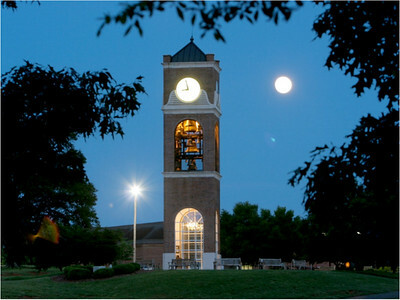 Students who attend Gardner-Webb often say our beautiful campus is the very definition of what a college should look like.